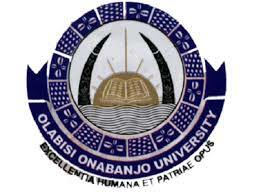 Olabisi Onabanjo University, [OOU] Postgraduate Diploma and Degree Admission Form, Duration, Admission Requirements, Application Guidelines and Closing Date for 2019/2020 Academic Session. RECOMMENDED: OOU Approved List of Postgraduate Courses for 2019/2020 Session. All Applicants are to request their Alma Mater to forward the Academic Transcripts of their Higher National Diploma / 1st Degree / Postgraduate Diploma / Master Degree to the Secretary, Postgraduate School, Olabisi Onabanjo University, Ago-Iwoye not later than Friday, 26th July, 2019. Completed Application Form and Acknowledgement Slip/Photo card are to be submitted to the Secretary, Postgraduate School and to the relevant Department not later than Friday, 26th July, 2019. University Campuses at Aiyetoro, Ibogun and Sagamu. All completed applications should reach the Secretary, Postgraduate School not later than Friday, 26th July, 2019.